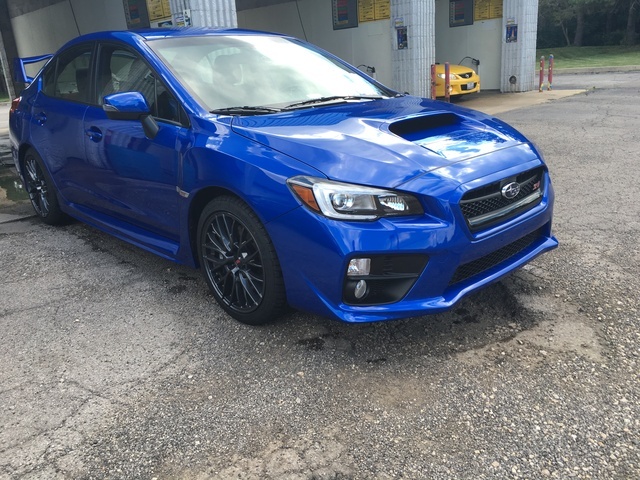 Looking for a Used WRX STI in your area? 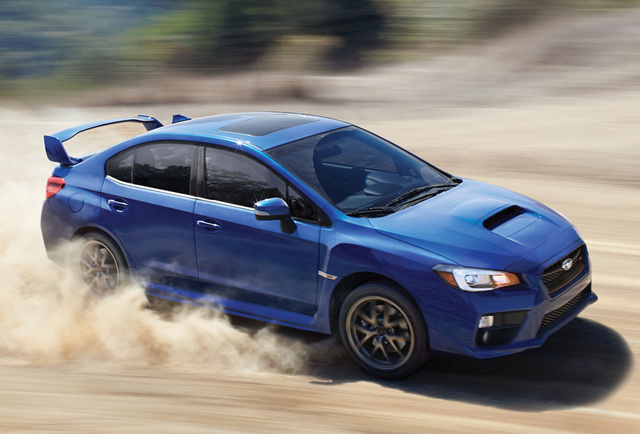 CarGurus has 1,694 nationwide WRX STI listings starting at $20,995. Although Subaru does not usually come off as the most corporate of automakers, it’s worth noting that it is owned by a large multinational, in this case Fuji Heavy Industries, which is headquartered in Japan (along with Subaru itself). “Subaru” is the Japanese name for the Pleiades, a star cluster in which six stars are visible to the naked eye. These stars inspired the Subaru logo and refer to the six companies that originally merged to form FHJ. Also under the FHJ umbrella is Subaru Technica International, or STI, the motorsports division that specialized in vehicle development for the Subaru World Rally Team as it competed in successive World Rally Championships—competed and won, in many cases. Out of this racing heritage comes the WRX STI, a performance car marketed to driving enthusiasts who want to do a lot more than simply show off their car’s straight-line performance. Though the WRX STI (and its more conventional WRX sibling) is heavily based on the Subaru Impreza, it dropped the “Impreza” from its name after a big redesign in 2015 and now occupies an even clearer position in the rally-racing world. That 2015 redesign was both recent and major, so the 2017 WRX STI doesn’t offer many improvements over the 2016 model beyond the few obligatory switches in standard and available equipment you see from one model year to the next with almost any vehicle. The base trim now offers blind-spot detection, rear cross-traffic alert, and auto on/off headlights, and the interior features a new tricot cloth headliner. There’s also a slight bump in pricing on the base trim, which now starts at just over $35,000—the two Limited trims keep the same price from 2016. All Subarus other than the WRX STI come standard with the automaker’s acclaimed Symmetrical all-wheel-drive (AWD) system, with slight adjustments made to accommodate differences between models. But the WRX STI features an exclusive driver-controlled center differential (DCCD) AWD system that basically affords a whole lot more flexibility in differential response and torque distribution than on other models. This means WRX STI drivers can expect their vehicle’s handling to better and more quickly adapt to a wide variety of traction scenarios and terrains, a must for anyone who plans to do anything serious in a rally race. The WRX STI also features handling technologies like active torque vectoring, multi-mode vehicle dynamics control, and a Brembo performance brake system. Under the hood of the 2017 WRX STI is a turbocharged 2.5-liter 4-cylinder “boxer” engine, so named because of the horizontally opposed pistons, which also lower the car’s center of gravity for better overall balance. The engine, essentially an up-powered version of what's in the WRX, produces 305 hp and 290 lb-ft of torque. A reinforced 6-speed manual transmission is the only transmission available in the WRX STI, a dead giveaway of the car’s intended purpose. Going from 0 to 60 mph takes 4.7 seconds, but remember: the WRX STI’s strength lies in its driving dynamics, not its sheer speed. The EPA has not rated the WRX STI for fuel economy, but even the less-powerful WRX’s mileage numbers aren’t all that great. The WRX STI is distinguishable from the WRX by its signature rear wing spoiler, though a low-profile trunk spoiler is available on the Limited at no extra cost. Among its other racing-oriented (or simply hard-driving-ready) features are three selectable driving modes—Intelligent, Sport, and Sport Sharp—that together comprise the Subaru Intelligent Drive system, allowing the driver to tweak engine and throttle control. The steering wheel incorporates the flat-bottom design you’ll find in many sport or performance models these days, though the design’s original purpose (helping drivers get in and out with minimal hassle) might no longer be clear. The base WRX STI offers standard features like a rear-view camera and a basic audio setup with 6 speakers and Bluetooth connectivity. An audio/navigation package adds many of the features that come standard aboard the Limited, like a 9-speaker Harman Kardon premium sound system and Subaru’s Starlink infotainment and navigation system. 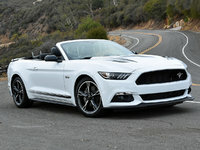 The Limited also adds leather-trimmed upholstery, an 8-way power driver’s seat, and a power moonroof. Subaru’s popular EyeSight forward-collision prevention system is not available on the WRX STI (though it is available on the WRX), so drivers looking for added safety technology will have to stick with the blind-spot monitoring and rear cross-traffic alert available on the base and standard on the Limited. Safety features that come standard on both trims include electronic stability and traction control and a full suite of airbags. The WRX STI has not been tested by either the National Highway Traffic Safety Administration or the Insurance Institute for Highway Safety, though its sibling WRX received top marks from both bodies, including a Top Safety Pick+ rating from the IIHS (though that rating did require EyeSight’s forward-collision technology). Subaru has told customers to expect 2017 models of the WRX STI to show up at dealers sometime during the summer of 2016. What's your take on the 2017 Subaru WRX STI? Have you driven a 2017 Subaru WRX STI? I posted a picture of it but you deleted it . Because it is not a picture of a car or truck.